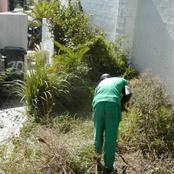 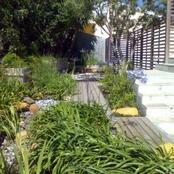 SALI Silver Award 2009 Small Garden with no lawn and no irrigation. 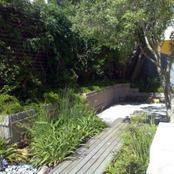 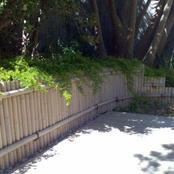 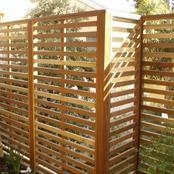 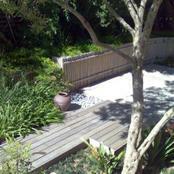 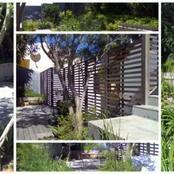 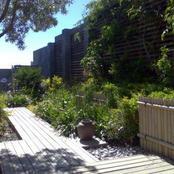 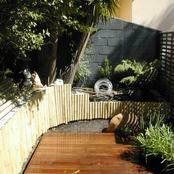 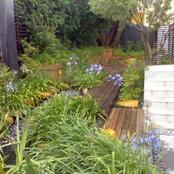 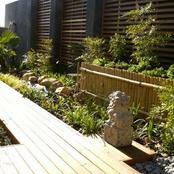 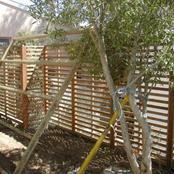 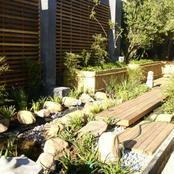 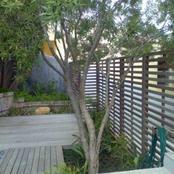 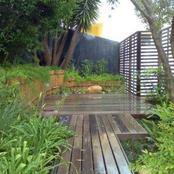 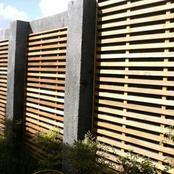 Zen feel to garden with Bamboo, Balau Decking,Fencing & Screens by Deckscapes. 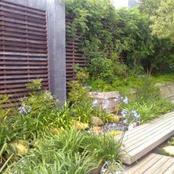 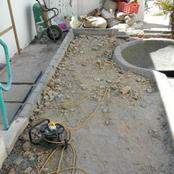 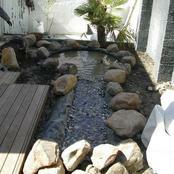 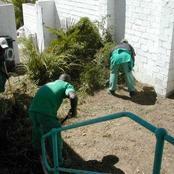 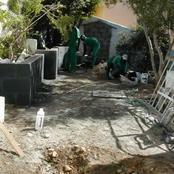 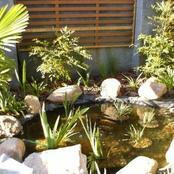 Walls had an oxide treatment for a low maintenance finish.Water feature installed by Water in Motion.